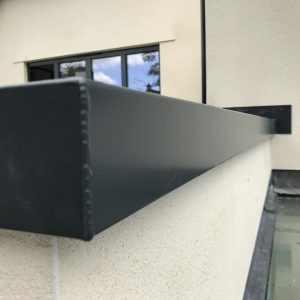 We manufacture aluminium wall copings, aluminium fascias and soffits. All powder-coated to a colour of your choice. Either give us a call or send us an email with a drawing and we will give you a quote.